NEW DELHI: The government is mulling bringing legislative changes to remove the monthly ceiling of Rs 10,000 on the maintenance paid by children to parents and introduce a rating mechanism for organisations providing home care services to the elderly. If the proposed amendments to the Maintenance and Welfare of Parents and Senior Citizens (MWPSC) Act come through, the maintenance amount to be decided by senior citizen tribunals for the neglected parents will depend on their need and the economic condition of their children. At present, the maintenance for a parent or senior citizen that can be ordered by the tribunal as payable by the children or relative cannot exceed Rs 10,000 a month. 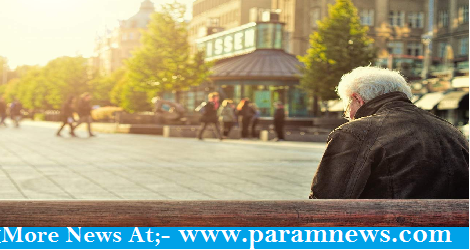 "There have been complaints from many senior citizens' associations that the maintenance amount was inadequate and not in keeping with the time in view of rising costs of living," a senior official in the Union Ministry of Social Justice and Empowerment said. A meeting involving all stakeholders such as senior citizens' associations, state governments, central ministries and the National Law Commission was held under the chairmanship of the Social Justice and Empowerment Ministry Secretary recently to review the provisions of the MWPSC Act. "After detailed deliberations, it was decided that the maintenance amount be kept open-ended and the quantum of maintenance be left to the discretion of the tribunal. It should depend on the facts and circumstances of each case," the official said. The MWPSC Act makes it a legal obligation for children and heirs to provide maintenance to senior citizens and parents. The ministry also intends to put in place a uniform regulation and a rating mechanism for organisations providing home care services to senior citizens. "With the increase in the number of elderly people staying alone at home, the government has realised the urgent need to ensure quality home care services to such people. "Therefore, it is proposed that a rating mechanism is developed for such organisations and uniform regulations are developed for monitoring such services," the official said. The government is mulling bringing legislative changes to remove the monthly ceiling of Rs 10,000 on the maintenance paid by children to parents and introduce a rating mechanism for organisations providing home care services to the elderly.